A frank and candid discussion about my disagreeable experience with a local council. Some of us may have remembered that schoolyard bully, that lout who possessed far more brawn than brain; the one willing to leave you alone on the proviso that you hand over your milk money without question. Or perhaps, maybe you happened to be one once! Whatever the case, I don’t like bullies and neither should you. Some have experienced bullying in the workplace. Some in domestic situations. In my case, it is with my local council. I couldn’t possibly comment which metro Adelaide council I am referring to as this could be considered inflammatory and vindictive. Now before I progress too far discrediting council bodies in general, let it be known there are many good individuals who work in these institutions. Let it also be known that many good initiatives and programmes are sponsored or partly-sponsored by councils and let’s not forget that we need to have our garbage taken away and disposed of! We, of course, pay our councils to provide for these services so there is a level of expectation of what services are provided for commensurate to the collective payment we provide in return. Keeping things under the radar may be the best course of action as far as councils are concerned. Listening to many of my friends and acquaintances whose experiences with their local council have been less than savoury, I am not truly surprised that many tend to avoid any contact with the council unless it is necessary to do so. Speaking with members of the community, there is almost a 50/50 split with those who are petrified with fear of the thought of ‘getting on the wrong side’ of their local council with those who nonchalantly choose not to react to council concerns and continue to live day by day in a serendipitous fashion, so long as their regular council bills are seen to. From hearsay by friends and acquaintances who do or have worked in a council including a local mayor I met up with earlier in the year, work ethic is quite a bit different than that experienced by those working in, say, project management within a competitive business ensuring that expectations with the client are continually met. I am certain there are exceptions to the rule; however, I have not met one person who said that working for Council is stressful (at least, workwise), but rather, have heard commendable reports about the flexible working and stable environment, something which is becoming scarcer in today’s professional workplace. I, for one, would find the prospect of having a position in Council to be both relatively stress-free and stable. Now let’s have a walk around your local neighbourhood. I would be very surprised if you did not observe any examples of your neighbours breaching some policy, code or encumbrance whilst revamping their properties. For example, trailers parked on council verges, large stones next to pavements, mailboxes, spiky vegetation, wrong colour fences and so on. However, if you are targeted (much like a random audit by the tax office), the council will find copious amounts of time to ‘address the problem’ until attrition and fear sets in and you end up conceding to their requests without question. In my case, it is because I alerted Council on an irrelated problem. I like to think myself as a practical and logical person; however, naivety got the better of me believing that these same values would be offered to me in return when dealing with my council. Let me tell you my little story. It all started during my extensive landscaping renovations of a corner property in a quiet hilly residential neighbourhood near the seaside. 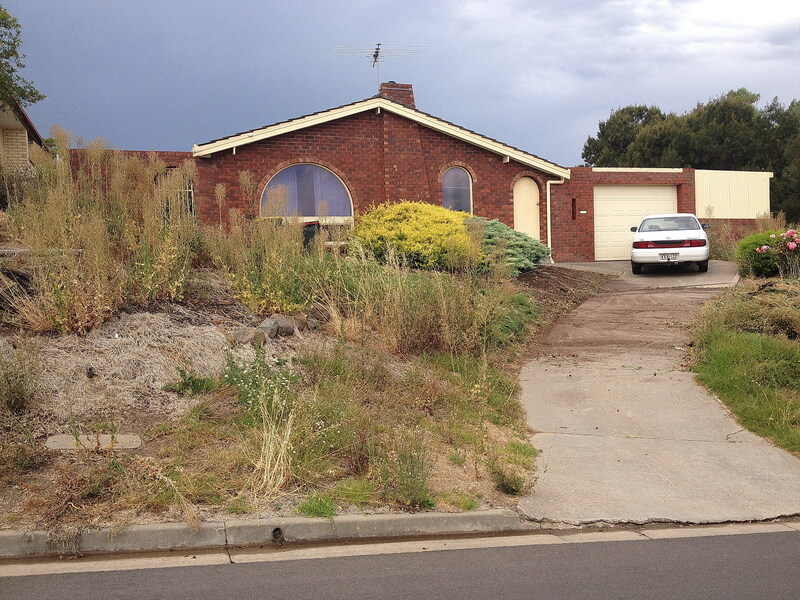 The front gardens and the steep sides flanking the property were in a state of severe neglect. Infested with weeds and developing severe erosion on the steep slope adjacent to the property fenceline, it was not only an eyesore to the community but also a fire risk, health hazard and a potential disaster waiting to happen due to the ongoing erosion of the steep slope thus endangering the stability of the foundation of the property. I landscaped the grounds using a variety of gravels, rocks, low retaining walls for terracing along a scattering of low-maintenance plants to break up the terrain. In all, I had much praise from the community and was offered, on several occasions, to landscape for other residents in the community although I declined their offers. The steep slope along the side of the property was a major concern. Erosion was so severe that material was beginning to filter through under the unsightly fence strewn with graffiti, which itself, needed repair and a repaint. Whether I own the fence or Council and who’s responsibility it is to maintain it never seemed very clear; however, I took the initiative and fixed and repainted the fence at own cost regardless. As far as the council-owned eroding slope is concerned despite me having to raise the issue several times in the past by phoning up Council, it was never given any priority and subsequently languished and seemingly died of death. My mistake here is that I relied on phone calls rather than written communication. The slope deteriorated to the point that I had to take some fairly quick remedial actions albeit at my cost. 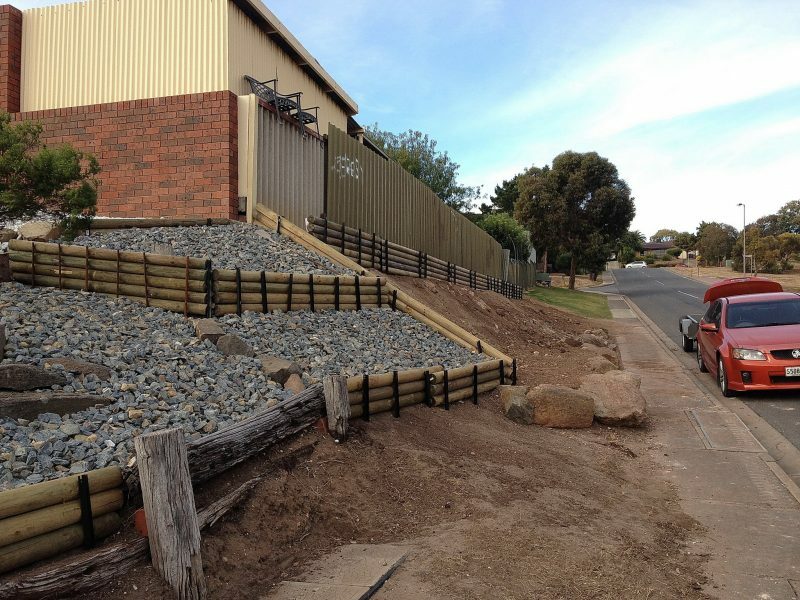 This consisted of a simple retaining wall 500mm high extending 800mm away from the fence comprising of posts and logs filled with scoria, a lightweight volcanic rock which is excellent for water drainage. Within the scoria, I placed soil pots at 1200mm intervals in which to place water-saving plants to not only to beautify the fence but to deter graffiti artists away from the fence. 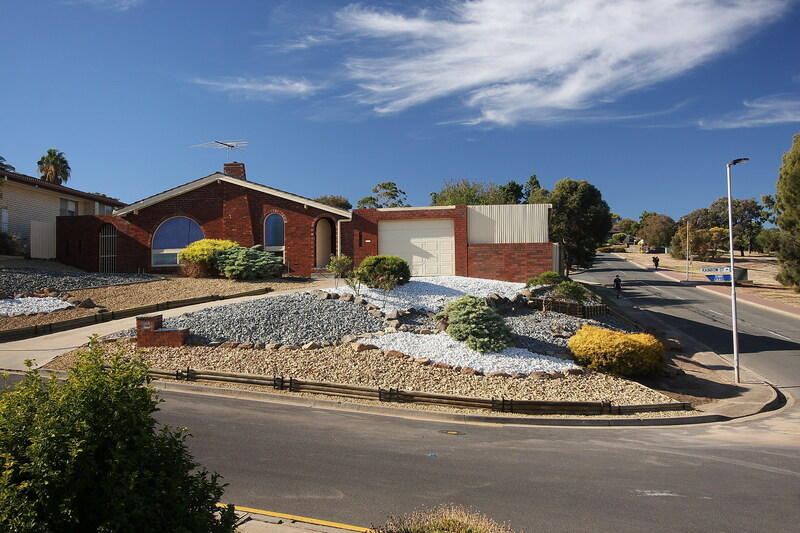 At this point, it never occurred to me that I needed to obtain council approval beforehand for such a structure although I am fully aware that you need to obtain approval for a retaining wall one metre or higher on your own property in my neighbourhood. Anyway, the remedial measure did the trick; however, I will come back to this a little later. During this time, I opened a Pandora’s Box by alerting my council that the area surrounding the Telstra telephone pit was in need of some urgent maintenance. 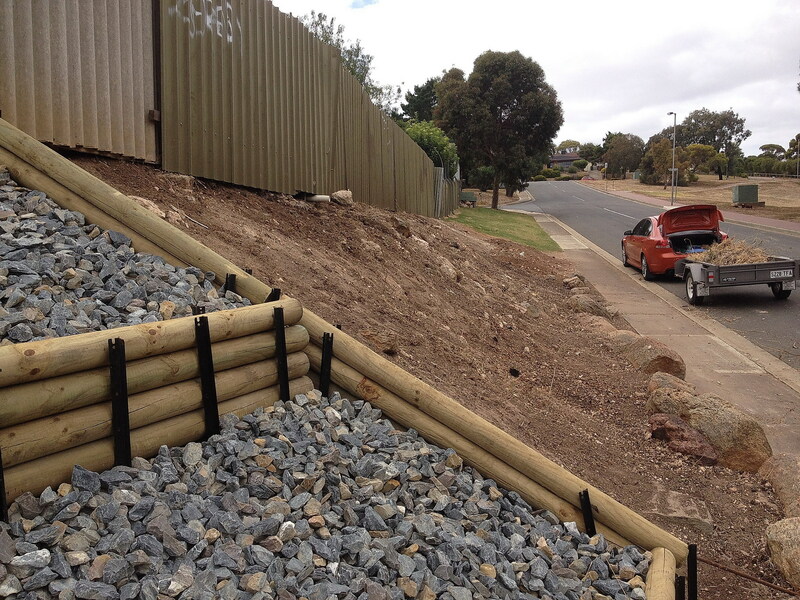 The little timber retaining wall was rotting to non-existence and the soil was banked up overflowing to the footpath causing a trip hazard. Had I just stealthily renovated this myself at my own cost, I am highly certain that none of the below events would have happened at all. However, I took a photo of the area in question and sent it off by email to the council asking if any repairs could be done by the council and if not, would I be allowed to repair them myself. The response I had was through a phone call I received from a member of the council. Her response had no association with the problem I raised in the photograph but rather, she seemed magnetised on the remedial retaining wall adjacent to the fence and a few large scattered boulders at the base of the slope which overhung the footpath by one inch declaring this a trip hazard. I kid you not. One inch… maybe two! Regrettably, these two items appeared in the background of the photograph I took. She then explained that I was to take down the remedial retaining wall within 14 days and shift the boulders away from the footpath. 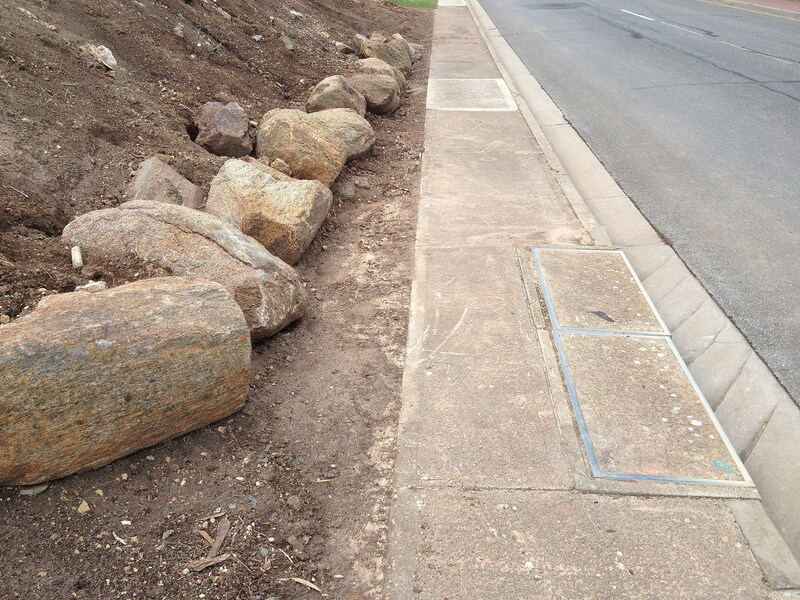 I explained that the boulders were there prior to purchasing the property; however, her response was that it is unlikely the council would have put them there in the first place and that it was my responsibility to move them as I inherited the problem. Luckily, one of the residents witnessed the council placing the boulders there some 20 years ago and would be happy to back me up should council object. In any case, I bowed down to subservience and had a contractor move the boulders and regrade the slope at my expense although I have not removed the remedial retaining wall on grounds that it was not only dangerous to do so, but the act of doing so will exacerbate the problem of erosion. I had thoughts flowing through my mind should I choose to ignore the 14-day retaining wall removal ultimatum. Would I be taken away to be marooned on an isolated island surrounded by the shark-infested waters of nearby Spencer Gulf? Or even worse, being forced to spend more than two hours at a time wandering aimlessly around the nearby Westfield Marion Shopping Centre. The mind boggles! It did not stop there either. She then asked if I was going to plant anything on top of the retaining wall to which I replied that I might plant some maintenance-free yuccas that would not only add a nice visual feature but also a way to deter vandals. 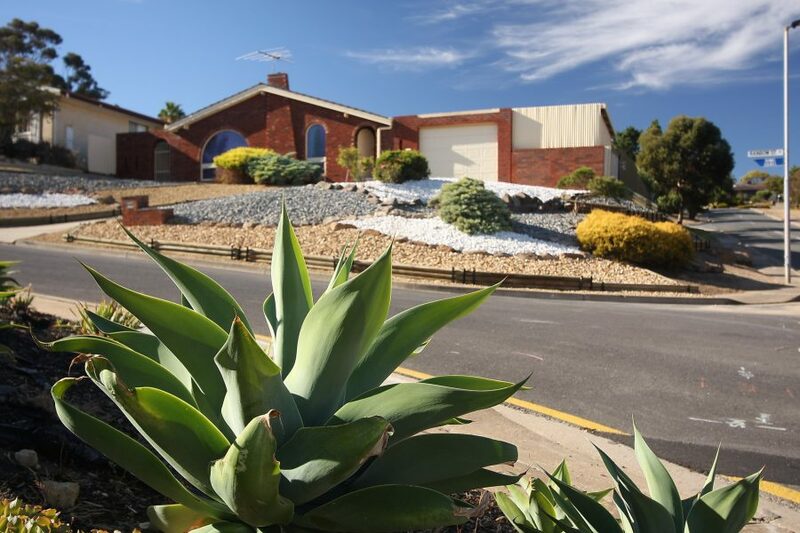 Her response was that yuccas and other sharp plants should not be planted on council verges due to health and safety concerns and that she would be sending me the council guidelines on what vegetation to plant. I never did receive the guidelines. Bearing in mind that these yuccas would be planted a full three metres away from the footpath and on top of the retaining wall, I was gasping for some air of logic in the discussion but there was none to be had. Further exchanges were made by email between me and the council to decide the most appropriate solution to the problem. Unfortunately, this solution required me to not only take down the existing retaining wall but to fork out all expenses to obtain planning approval and to commission an engineer to build the retaining wall to their specification. I was not offered any engineering advice or solution by the council nor would there be any financial assistance by the council to build a retaining wall on their land. It may have appeared that I have opened a veritable Pandora’s Box of sorts; however, this pales into insignificance when compared to the case of an individual in the same neighbourhood who, despite being given council approval to build a second floor to his home subsequently had to have it demolished due to complaints by the owner of a neighbouring property. I only heard the story from hearsay but if any credence could be given to the story and if it transpired that it did indeed happen as suggested, I can only be truly horrified by what trials and tribulations that individual had to suffer through. Below is a picture of the property after renovations which offers the tenant a relatively maintenance-free, water-saving and safe property to maintain. Not only that, but I’d like to think it helps to beautify the neighbourhood, which happens to be one of the manifestos clearly laid out in the council’s future plan! Never invite anyone into your property claiming they are offering a free service to evaluate your property unless you have invited them beforehand. This probably verges into paranoia however I heard of a case back in the UK in which this occurred to a resident owning a heritage-listed building. Weeks later, a letter was sent to the resident that changes that were made inside the residence conflicted with the heritage character of the building and that these changes needed to be reverted. After some weeks, I managed to convince the council to send an engineer to meet with me on site. I envisaged that several members of the council would be there so I took with me a witness, a retired policeman. Sure enough, in addition to the engineer I requested, a few others from the council turned up. 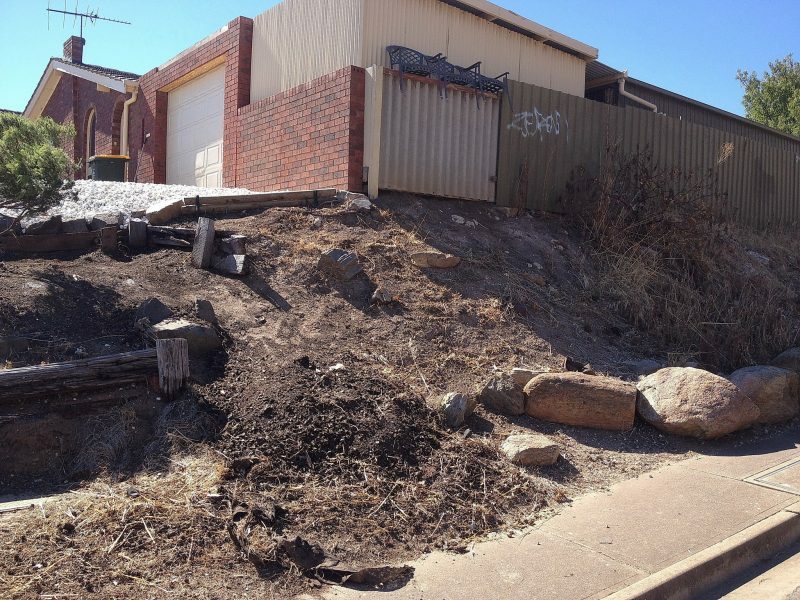 We talked about the initial problem of the area around the Telstra pit including the rotting timber retaining wall behind, which is firmly situated on council land. 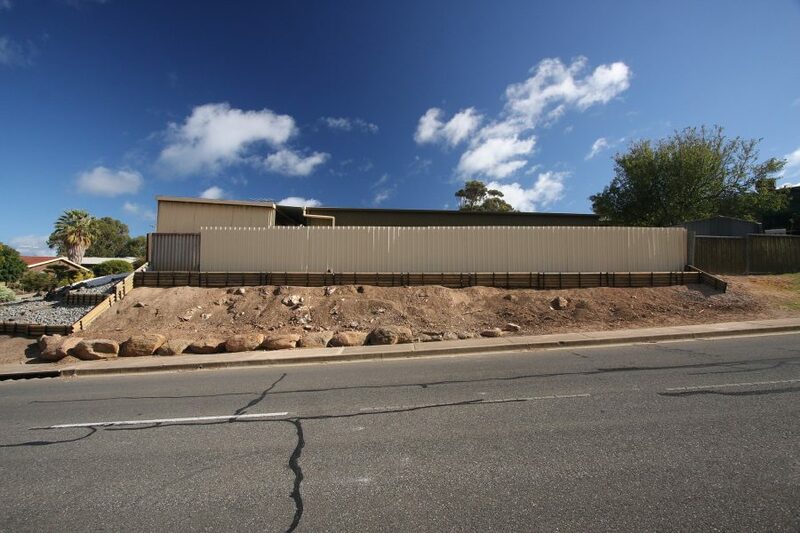 Unfortunately, one of the members in the group stated that the retaining wall did not belong to council and therefore would not be addressing it. I then asked if I should address the retaining wall myself of which the response was, “as long as you have council approval”. Stalemate. I’ll leave this area by the pit alone. No doubt, it will never be addressed. I gave the group a guided tour of the retaining wall along with the intention to plant a row of yuccas to form an attractive foreground to the fence behind, which I fixed and repainted some weeks earlier. The subject of ‘spiky’ plants being planted on the verges of council land was raised to which I pointed out the row of yuccas adjacent immediately to the footpath on the property of the neighbour opposite. The response to that was that Council would have to approach a very large number of property owners to have their spiky plants relocated or removed and would just not be viable to implement. As to the offending wall, I was advised to build a retaining wall under the ground and under the fence as long as the whole of the structure is to be built completely on my side of the fence. It was inferred in the conversation that I could build this in my own leisure as long as I did not infringe on council property. There was a silver lining in the clouds when the council stated they would add a couple rows of moss rocks to stabilise the slope after I removed the existing retaining wall. A reasonable outcome but no timescales were given. After the meeting, the council sent me an email asking me if I was in agreement with the above, to which I replied to the council asking for a rough timescale when the council would implement their works after I removed the wall. The reply was interesting stating that they would use the existing boulders already in use at the lower flanks of the slope to stabilise the slope rather than add moss rocks and another tier. They also stated that Council reserves the right to review the requirements for the verge area and to make any changes to the proposal as deemed necessary or appropriate. So after all that, the council will have its cake and eat it too, leaving me tired and exhausted by the battle and now having been forced to remove the wall.